Shaking up our schedule for 2018 we have decided to adopt a more hands on approach to our Tuesday night workshops. 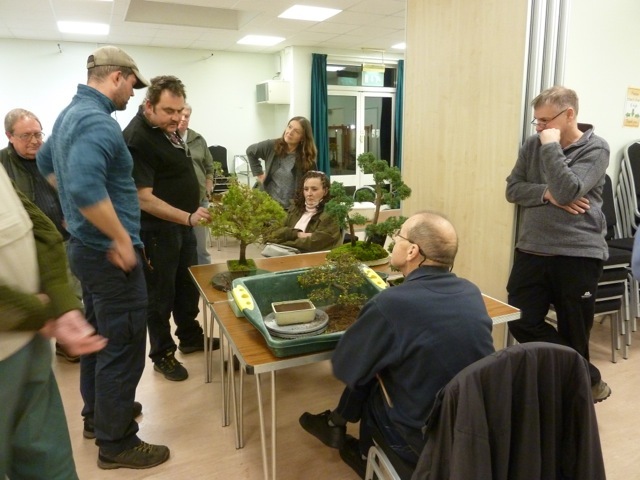 We have been encouraging members to bring along tools and trees to work on during the expert lead sessions. February was the first and feedback has been positively received. Dean Kelly led the first Tuesday workshop of 2018 Potting and Juniper Styling. 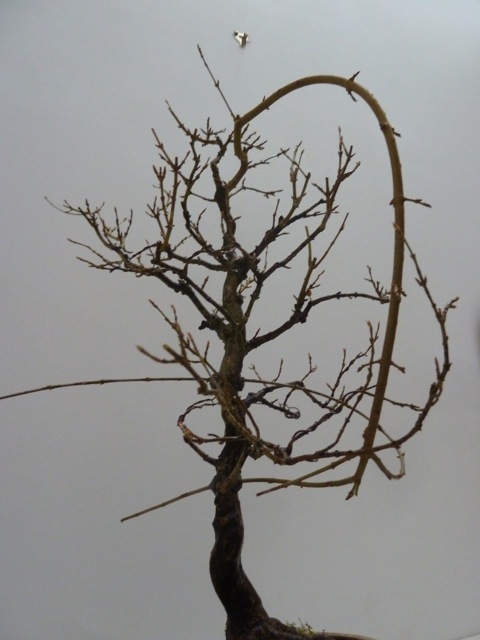 Mike’s trident maple (pictured below) illustrates the process of thread grafting: a new branch was created by growing a branch extension from the top of the tree and threading it through a hole drilled through the lower trunk. 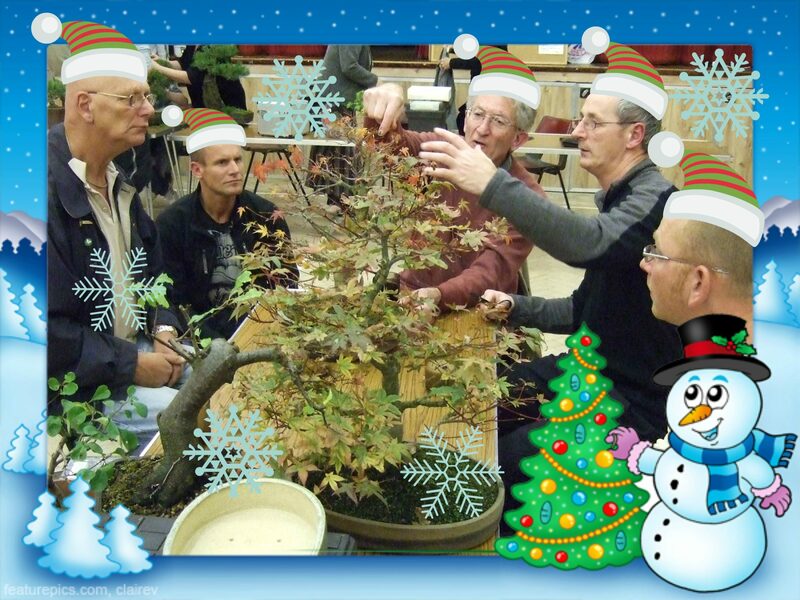 New to the Tuesday workshops we also have “Tree of the Month“, on this occasion the title was awarded to Gary. 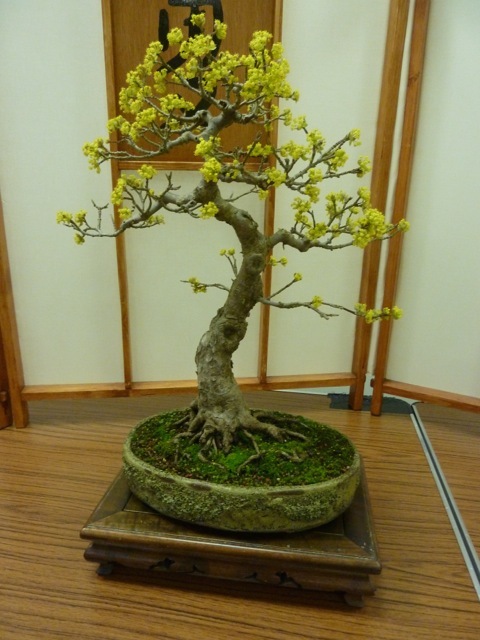 His Cornelian Cherry (Cornus Mas pictured below) in full flower looked absolutely stunning. 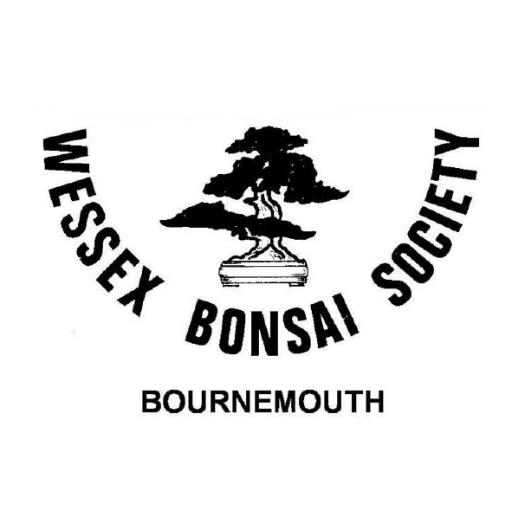 Our next Tuesday Workshop is 13th March with John Trott, Mendip Bonsai Studio looking at Group and Forest Planting. Please do feel free to bring your trees and tools along. You definitely need to sort out the winter protection for your bonsai, it could be cold greenhouse or cold-frame is these are ideal for any tree thought to be susceptible to frost damage; you can also control the watering by protecting them from heavy winter rains, they still need as light as possible in the short days of the winter. It’s also advisable to keep checking for any sign of pests or damage to the bark or note mounds where the squirrels could be storing their acorns. Time to think about what is needed for next year – soil, chippings for repotting, suitable new pots, tools sharpened, suitable wire for your trees. Now’s the time to get rid of all the clutter ready for the spring and repotting. To sit back and think of the achievements you made, constructively criticise what you have done so as not to make the same mistakes next year and to plan your action for the coming months, you could also sneak in the mentions of that would make a lovely Christmas present – you never know what you might get, the winner of the show in a couple of years’ time! !.